East Japanese | Oh No! Not Another NYC Food Blog! 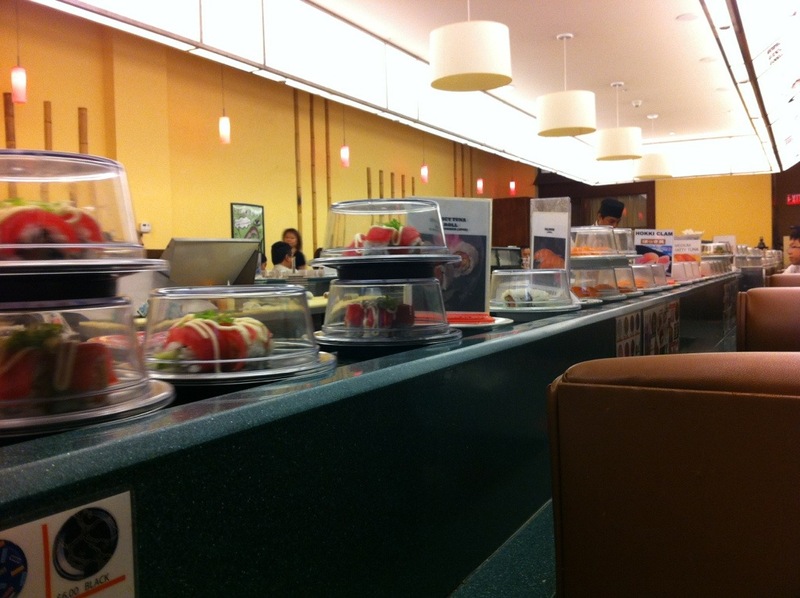 Multiple locations throughout the city; a conveyor belt sushi outpost also exists at the Palisades Mall in Nyack. We have visited the conveyor belt sushi spot in Nyack, the karaoke/conveyor belt spot on 3rd, and the Shabu location in Midtown. The sushi is always good. Nicely seasoned rice with a solid array of nigiri options. This is my DH’s favorite mid-priced no-fuss place to go for sushi – and if you hit a conveyor belt place, the novelty makes it fun. 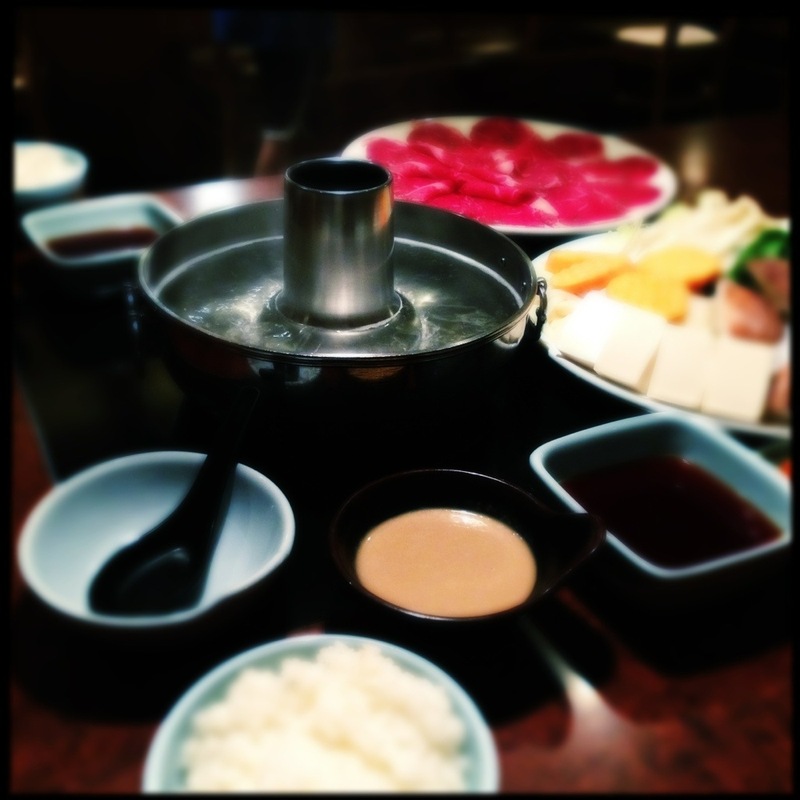 The Shabu location is tasty – it’s fondue-style service, so everything is cook-your-own. Makes for a fun night out. Generally tastefully done. The conveyor belt sushi location in a mall is bright and white, the Shabu location is sedate and wood-toned. We frequent East Japanese – most often the sushi locations. If we’re in a neighborhood with unfamiliar food options that also happens to hold an East, we choose East, because thus far it has always been a good bet. 4 out of 5 for an always good time and always tasty food.